In 1977 at the Foksal Gallery in Warsaw, the artist and poet Stanisław Dróżdż (1939–2009) exhibited an installation piece titled między (“between”). It consisted of a rectangular white box, roughly eleven feet tall, seventeen feet wide, and twenty-three feet long. Inside and out, this box was covered with the letters m, i, ę, d, z, and y, carefully distributed and arranged so that at no point could a viewer spell out the word między horizontally, vertically, or diagonally. Additionally, each of the letters appeared about a quarter of the time in each of four positions: upright, rotated ninety degrees to the right, rotated ninety degrees to the left, and upside down. A door permitted gallery-goers to enter what amounted to a room-within-a-room, where the ceiling, walls, and floor were identical in appearance. Once inside, people were surrounded by a swarm of sans-serif letters, each more than two hand-spans in size. They could walk on letters, lean on them, circulate among them. Dróżdż began in the 1960s as a poet who wrote rather conventional lineated verse. After becoming aware of the international Concrete poetry movement, he began to test more innovative layouts and explore the visual dimension of written language. By the time he constructed między he had ceased thinking of the page as the default location for his language experiments. His works had become increasingly architectural, involving the two- and three-dimensional arrangement of letters and words in public spaces and galleries. Although he continued to refer to his installation-based pieces of the 1970s as poezja konkretna (concrete poetry), he also began labeling them pojęciokształty, a portmanteau word whose two component parts are pojęcie (concept, idea) and kształt (shape, form). In Polish, konkretna has nothing to do with beton (concrete the building material). It is an adjective that means “substantial,” “real,” or “actual.” Między, accordingly, is a poem made substantial, made real, one that a person can walk around and into. Its letters have been repeated, dispersed, and fixed in grid-space so as to draw attention to the strokes, curves, and dots that together produce a commonplace word. These marks also promiscuously reinvent themselves. A Polish speaker in 1977 would have looked around and seen not only the letters d, e, i, m, y, and z but also the letters N (z rotated 90 degrees), p (d rotated 180 degrees), and w (m rotated 180). And, weirdly, she would have seen exclamation points (i flipped upside down), as if this enveloping word-cloud were terribly! excited! by having guests stop in to have a look. Amid the jumble, too, this hypothetical viewer would have glimpsed words, partial words, and word-ghosts — dzień (day), imię (name), nie (no), miedż (copper), mnie (me), my (we), piwem (with beer), wiem (I know), wy (you), zimę (winter), and so forth — as if she were witnessing inchoate thoughts just beginning to emerge into the world, caught en route between the blank white of preverbal intuition and the inky finality of lineated verse. Między’s literary and lexical aspects play out, significantly, within a well-defined spatial form (kształt) — a rectangular box — that in turn functions allegorically to convey an underlying concept (pojęcie). Dróżdż provides his audience with an occasion to experience and think about mediation and language. Letters and words come “between” viewers and that which is hidden from sight, in other words, that which, depending on their location, lies either inside or out of the box. Moreover, as a room-within-a-room, między functions as a mis en abyme. Is the “white cube” of the gallery another discursive container that interrupts sight lines? If we step outside into the street, what other word-boxes may enclose us — the city, the state, the Polish United Workers’ Party (which governed Poland from 1948 to 1989)? Are these enclosing frames necessarily bad things, or, insofar as they are granted heightened visibility, made sensible and palpable, might they serve as spaces for creative and generative play? One could keep going. Like all of Dróżdż’s best pojęciokształty, między is terrifically evocative. Further analysis, however, would reinforce what should already be evident. If one wishes to globalize the history of Conceptual writing — to think about the contemporary work of poets such as Craig Dworkin, Kenneth Goldsmith, and Vanessa Place as one local variant of a much larger storyline — then one cannot rely solely on Anglophone sources and American genealogies. In Unoriginal Genius (University of Chicago Press, 2010), Marjorie Perloff held up Brazilian Concrete poetry as an indispensible precursor; Jacob Edmond’s A Common Strangeness (Fordham University Press, 2012) pointed out that 1980s and 1990s Moscow conceptualism — an avant-garde that included Dmitri Prigov, Lev Rubinshtein, and Vsevolod Nekrasov — should be read as an analogous literary phenomenon. A figure such as Dróżdż, who was already thinking through the relation between linguistically innovative poetry and Conceptual art in the 1970s in Poland, reminds us how much further we must go before we can claim to know the prehistory of the present moment. Marcel Duchamp features prominently, for instance, in debates today for and against American-style Conceptual poetry. 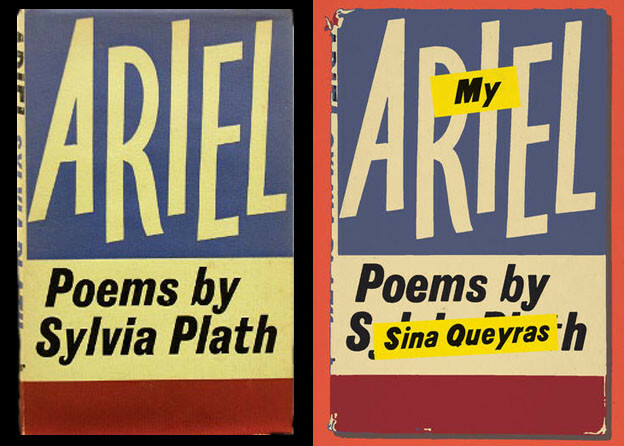 Who is appropriating what found text, and to what end? As a “Conceptual poem,” między would likely send a historically minded critic not to Parisian Dada but to the likes of El Lissitzky’s Soviet Constructivist installation Proun Room (1923), a utopian attempt to use the dynamic interplay of color, shape, and line to make viewers think about the space around them as material to be actively sculpted, formed, and sensuously experienced. Dróżdż, as Lissitzky’s heir, reprises this effort, albeit with words in place of geometric abstractions. He asks: How might language, as a thing seen and felt, enter into and revolutionize the spaces and environments we inhabit? Conceptual poetry (pojęciokształty) of this variety does not lead ineluctably to commentary on information management, knowledge work, and Internet memes. It pushes one to think about design theory and ecocriticism, and about pioneering shapers of the built environment from Aleksandr Rodchenko to Andrea Zittel. What concept do you want to wear today? What poem do you wish to sleep in tonight?